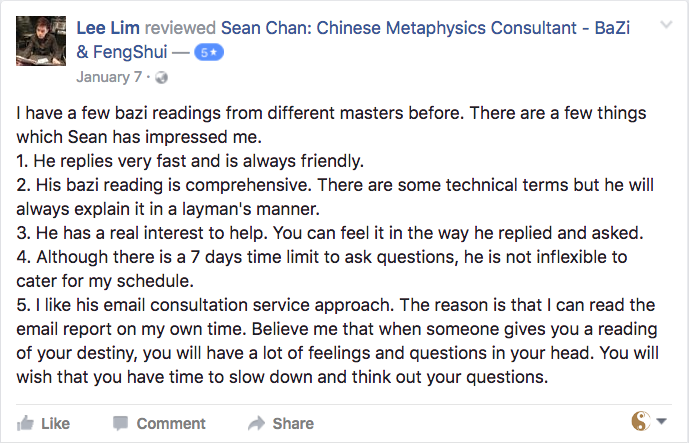 ​Zi Wei Dou Shu is a branch of metaphysics which was developed during the Song Dynasty and came much later compared to methods such as Qi Men Dun Jia (奇門遁甲) and BaZi (八字). 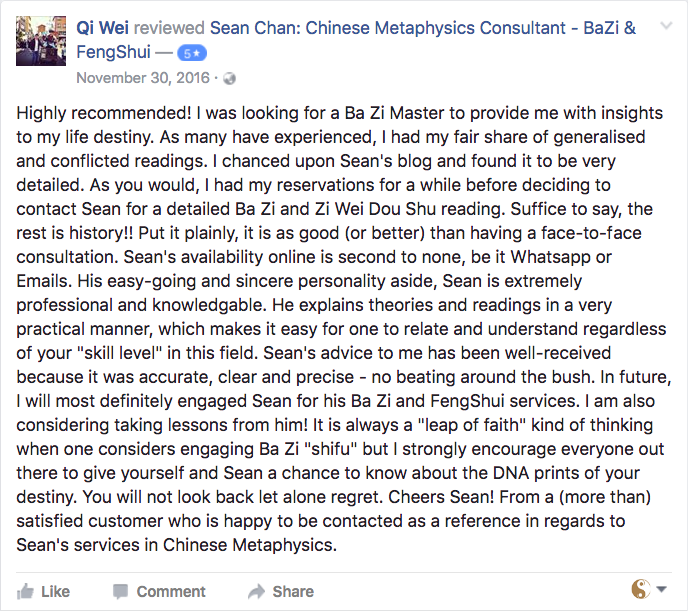 Zi Wei Dou Shu is one of the most highly regarded form of astrology in Chinese metaphysics. 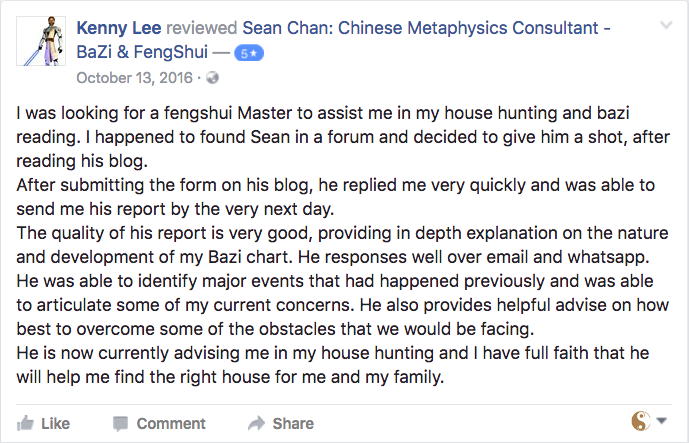 Like any other astrological method, the foundation of Zi Wei Dou Shu was built on the observation of the stars and how the patterns manifested in real life. 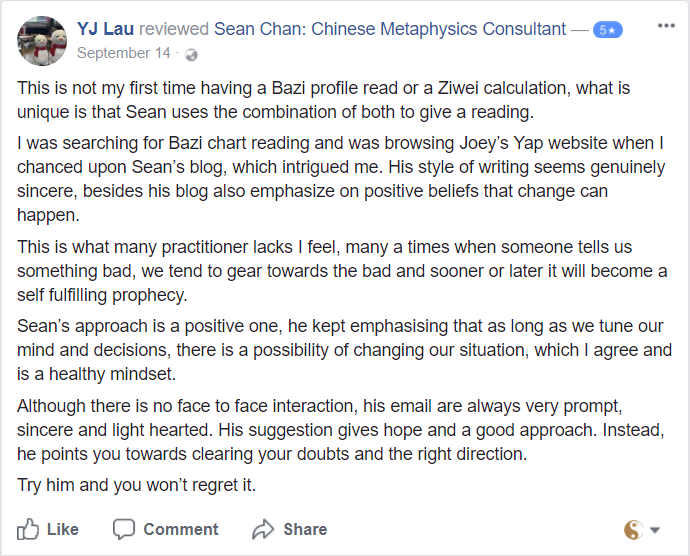 The Zǐ Wēi (紫微) star refers to the Polaris star and the major stars used in Zi Wei Dou Shu analysis are the seen stars from the Big Dipper (北斗七星) and six other stars from the Sagittarius constellation (南斗六星). 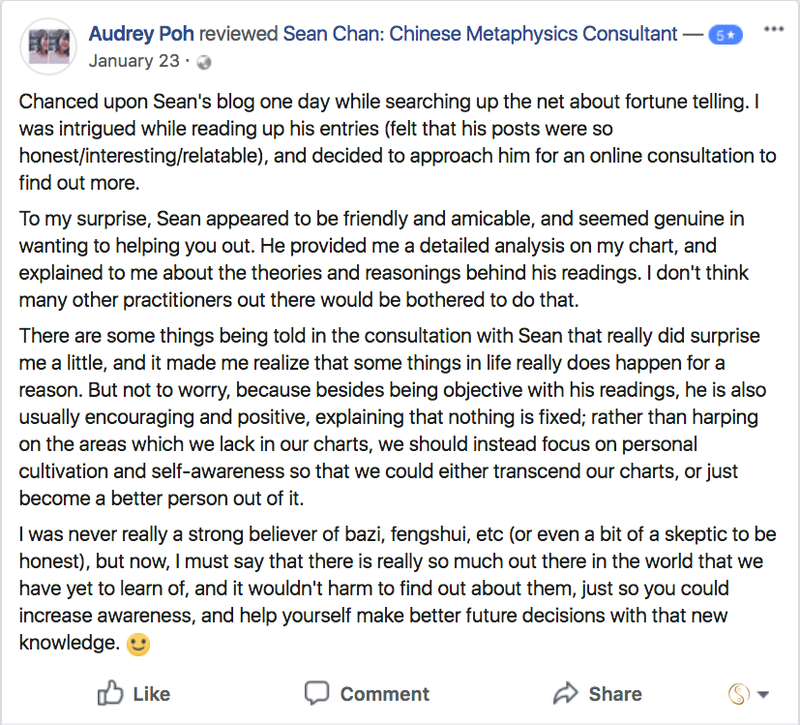 Each ‘name’ you see in a chart refers to a star in the sky (with a few exceptions), and all are taken into account when analyzing a chart, making it infinitely more complex than other methods. 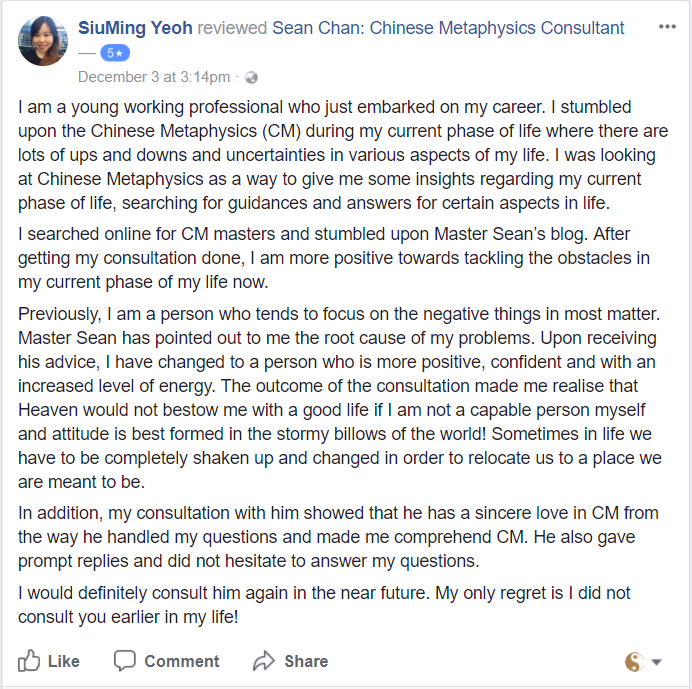 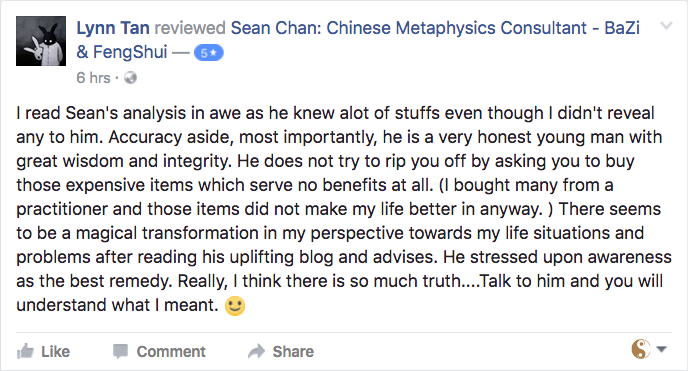 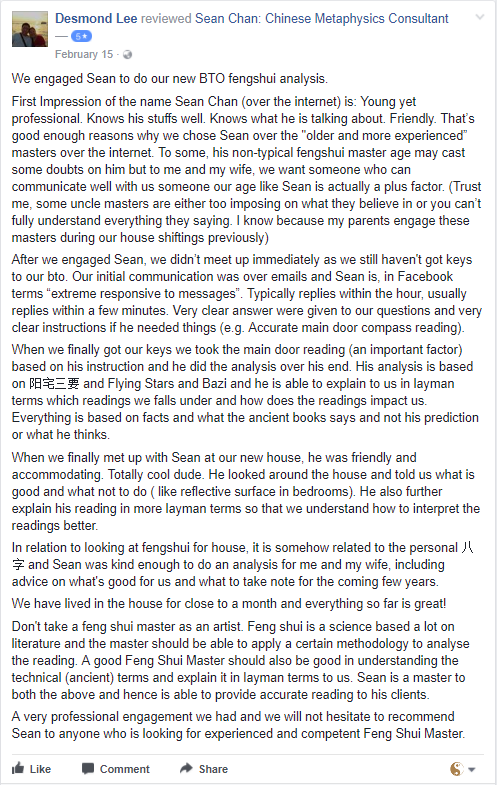 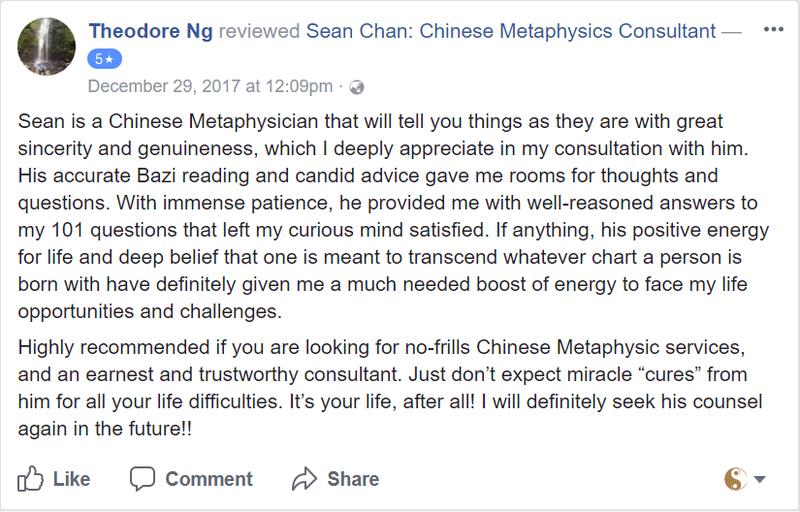 Being a more complex technique, Zi Wei Dou Shu is able to give more insights and detail into a person’s life than BaZi, and tells you both where and how the manifestations will come from – something which BaZi cannot do. 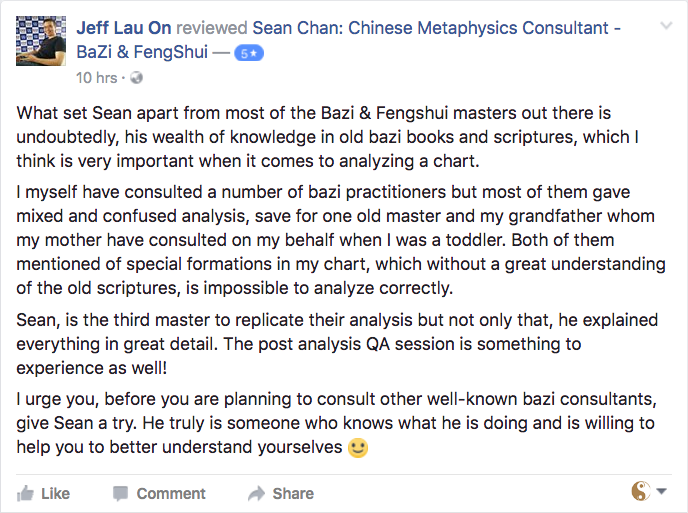 The analysis of your Zi Wei Dou Shu chart will come as part of the BaZi consultation. 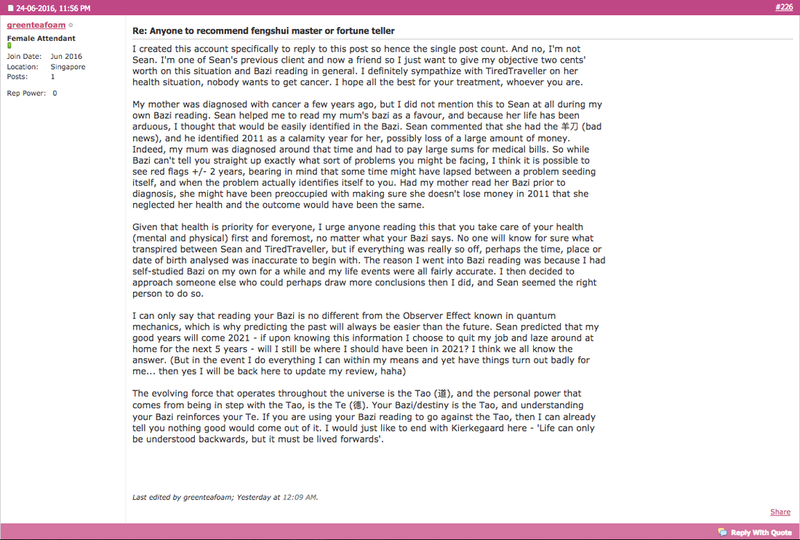 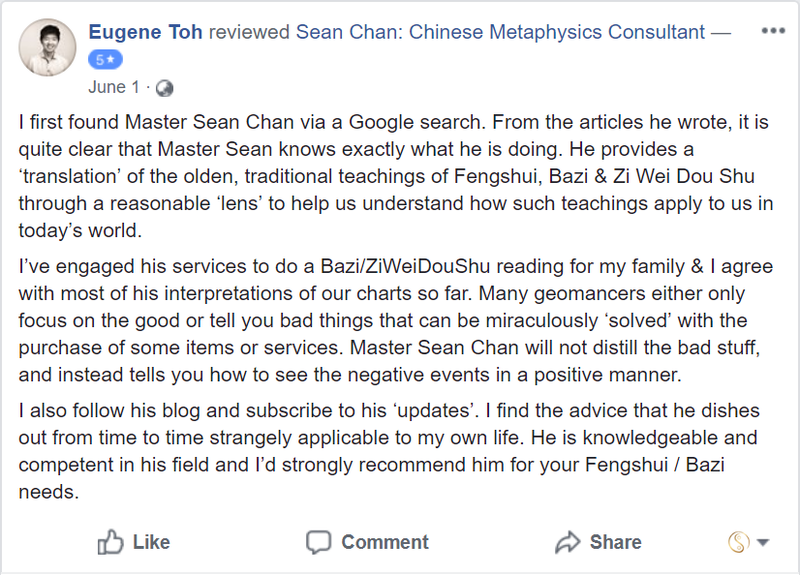 I use both methods concurrently to give a more holistic and accurate deduction of your astrological charts. 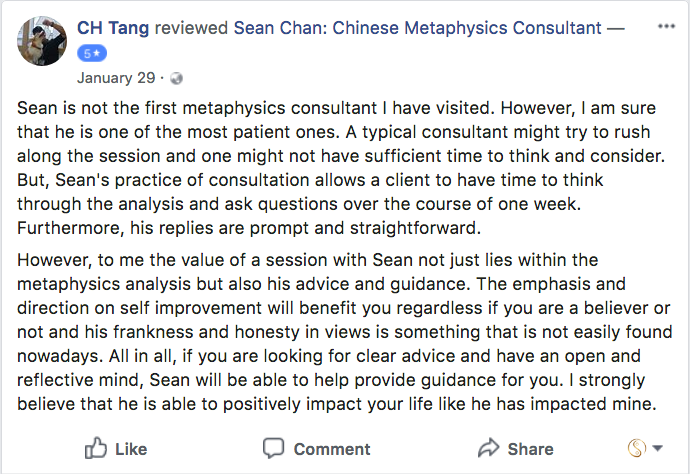 I have conducted more than 1,200 consultations using a combination of both methods and it has been shown to be a really effective way of giving clients the insight they need. 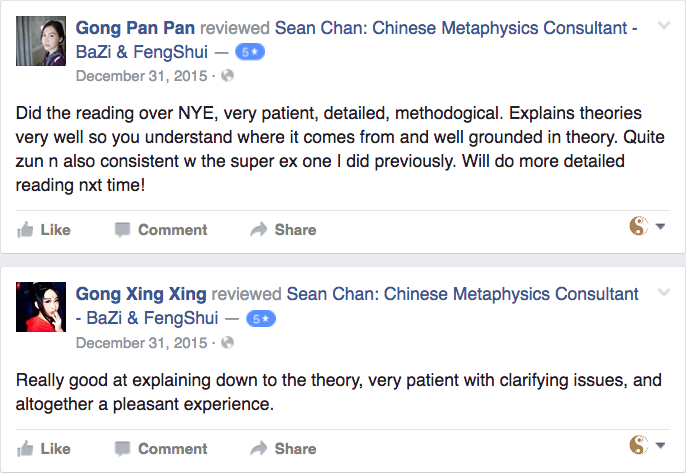 These two methods will always point towards the same conclusion. 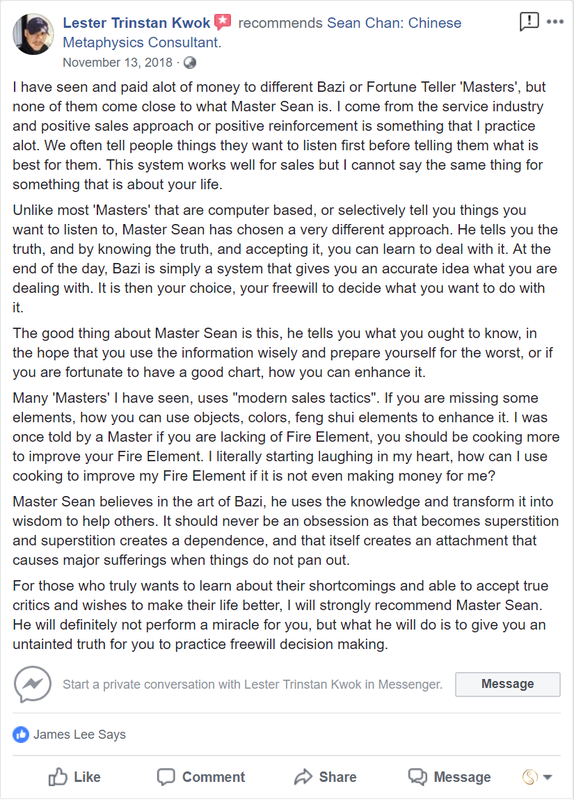 BaZi is a simpler method and came much earlier in Chinese history. 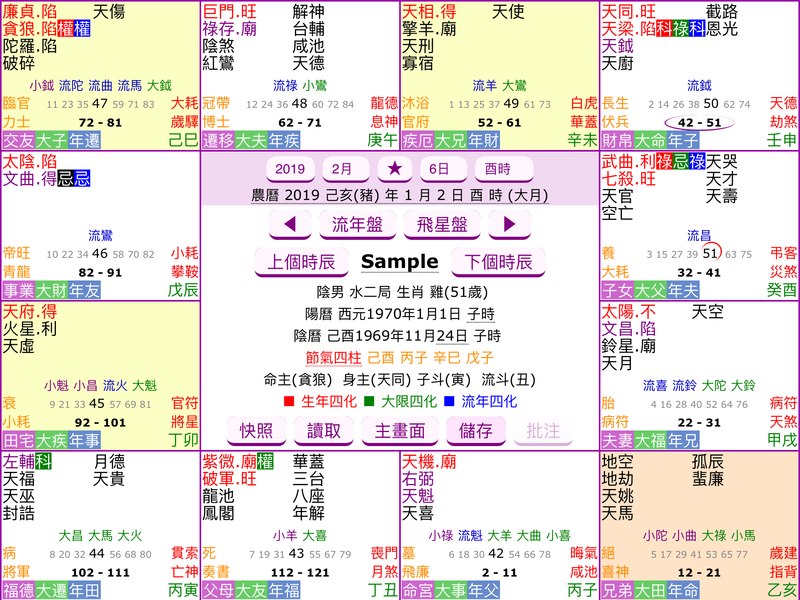 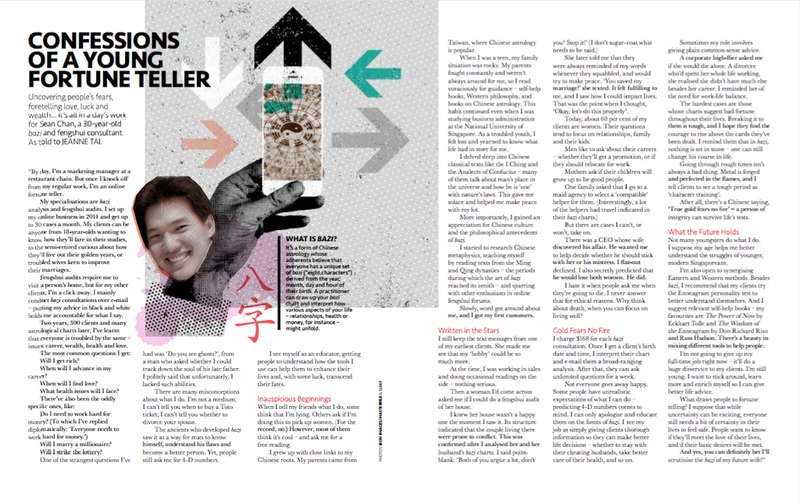 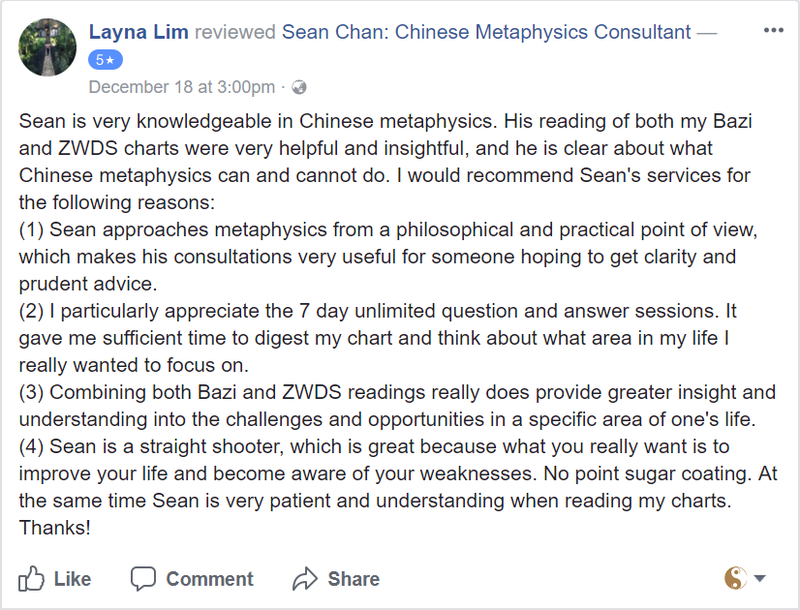 It is best used to give you a quick and accurate overview of how your life will unfold, whereas Zi Wei Dou Shu will allow us to go into the details so you know exactly where the opportunities and challenges will come from instead of just focusing on the outcome. 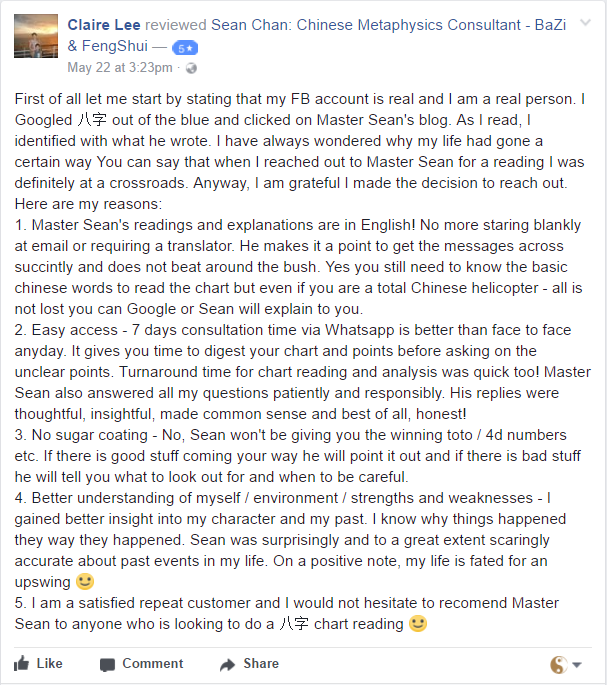 Regardless of what method we are using, the charts will never contradict each other. 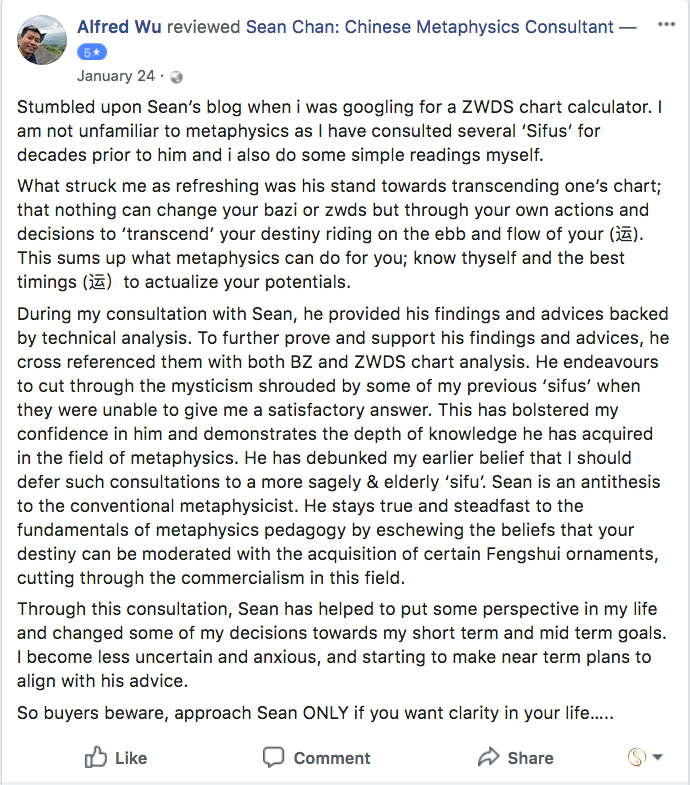 As Zi Wei Dou Shu is a much more complex method, I will not break down every single step on how the analysis is derived from your Zi Wei Dou Shu chart, but rest assured I will let you know how I derived my conclusions. 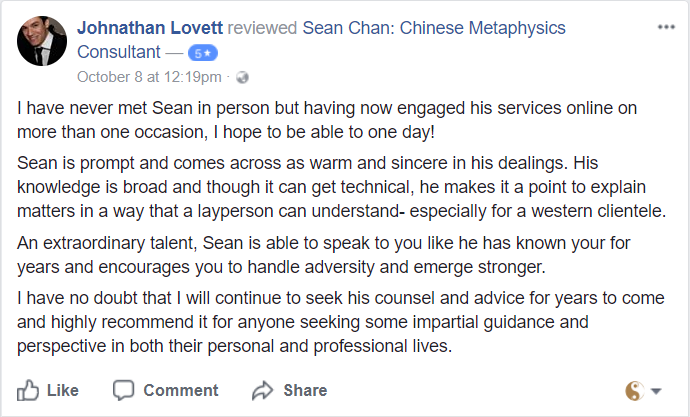 Feel free to reach out to get the conversation started and find out more about the consultation process! 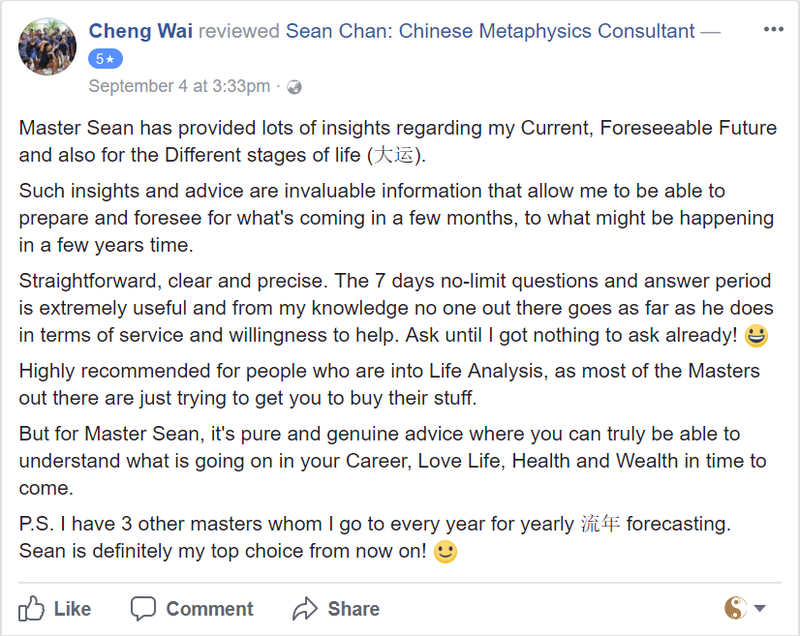 Whenever you’re ready, head over to my “Book An Appointment” page and fill up the form to get started. 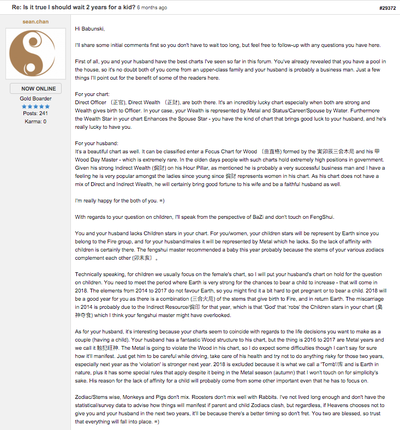 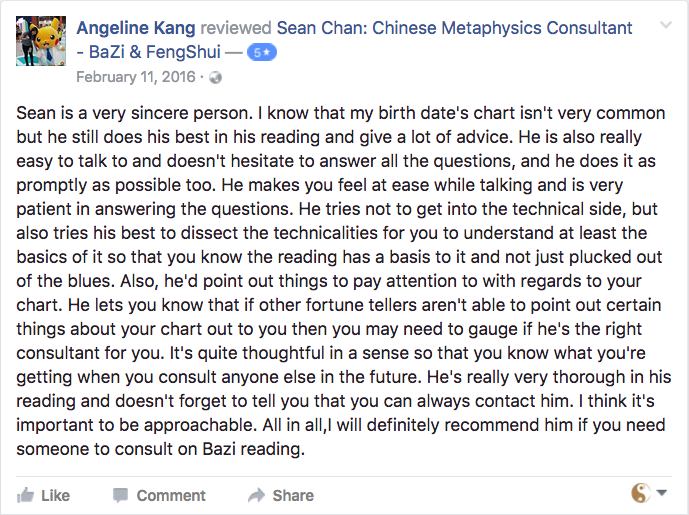 Can You ‘Change’ Your BaZi & Zi Wei Dou Shu Chart? 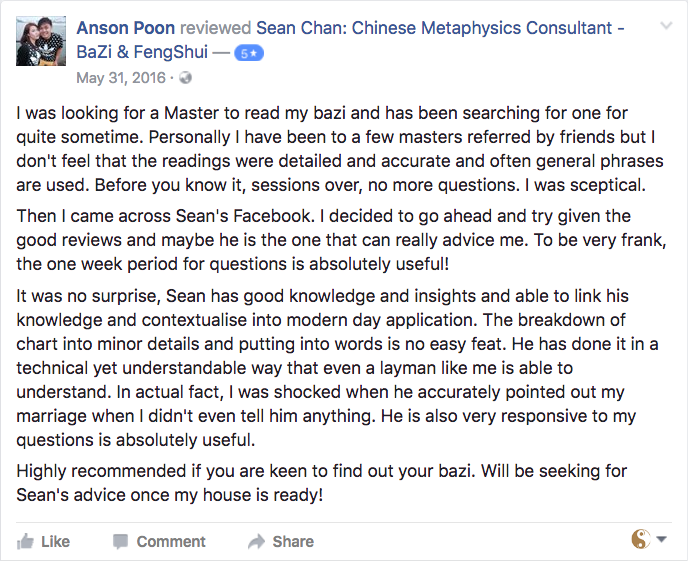 A combination of both BaZi and ZiWeiDouShu will be used for deeper insights and accuracy. 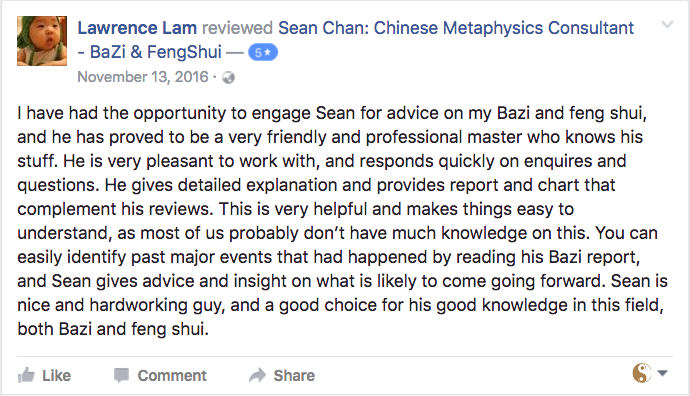 Your Zi Wei Dou Shu consultation will come as part of the BaZi consultation. 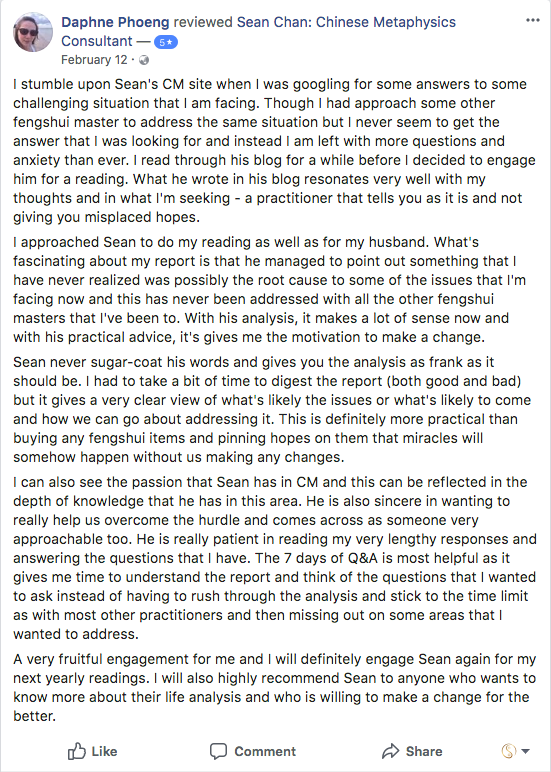 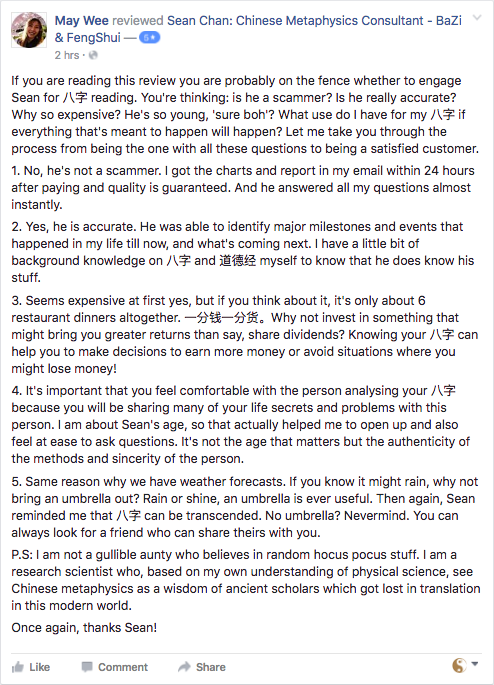 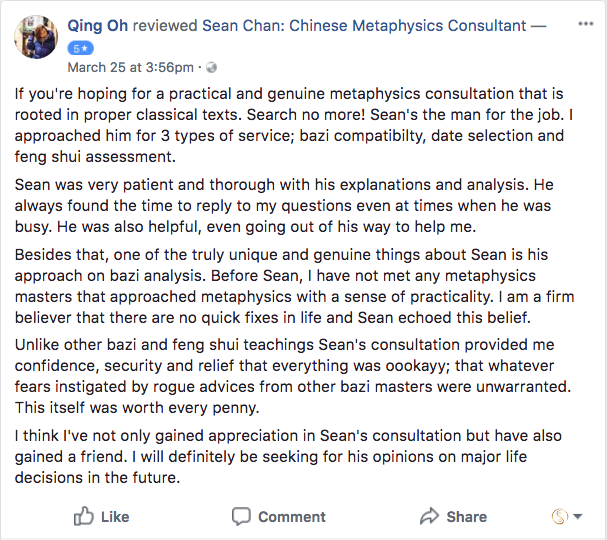 I will use both methods during the consultation to give you an accurate overview of the topics you’re asking, and will bring in Zi Wei Dou Shu to point out the details when required. 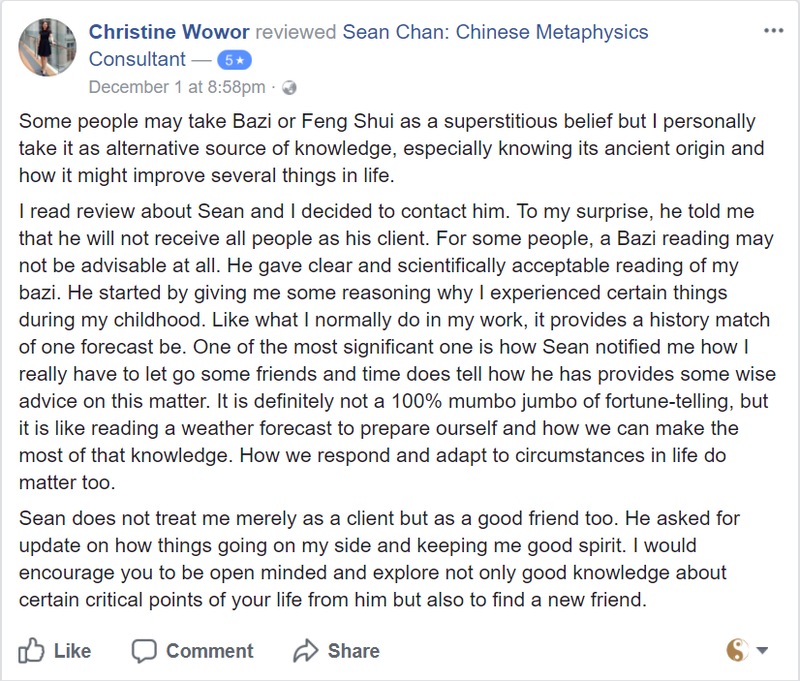 There is a reason why I’m doing this, because Zi Wei Dou Shu is a lot more complex, and it’s not possible for me to break down the technicals like I do for BaZi. 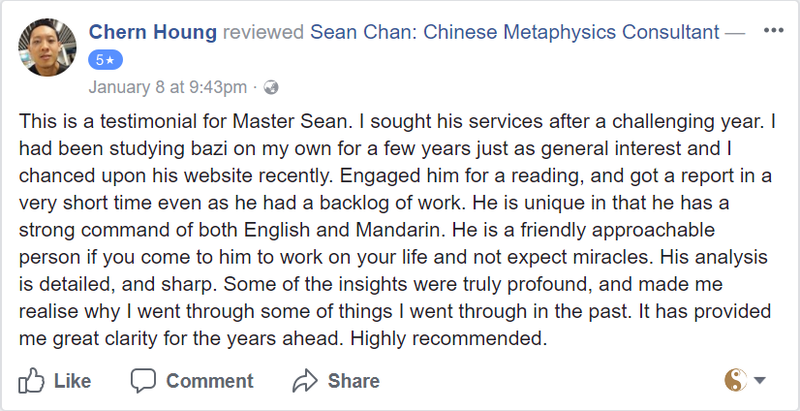 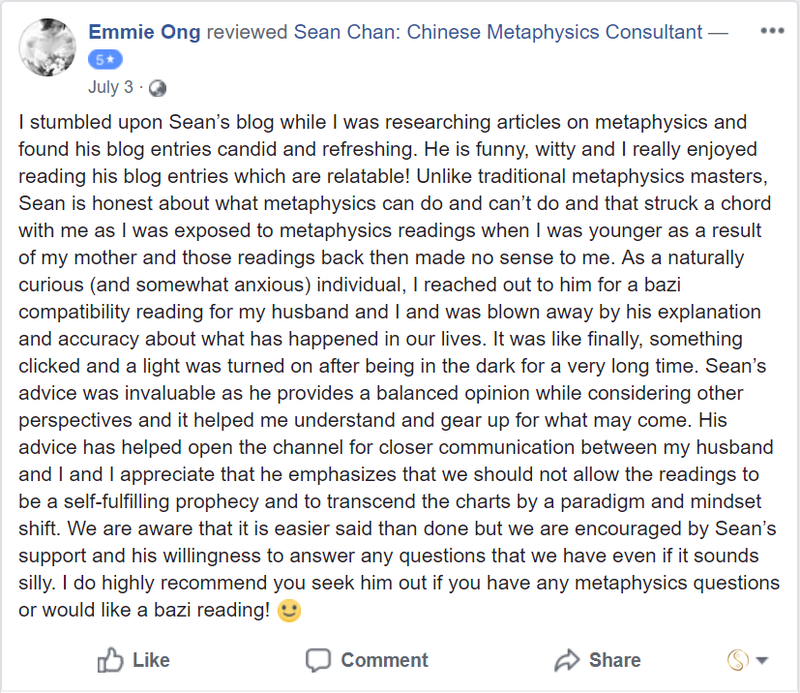 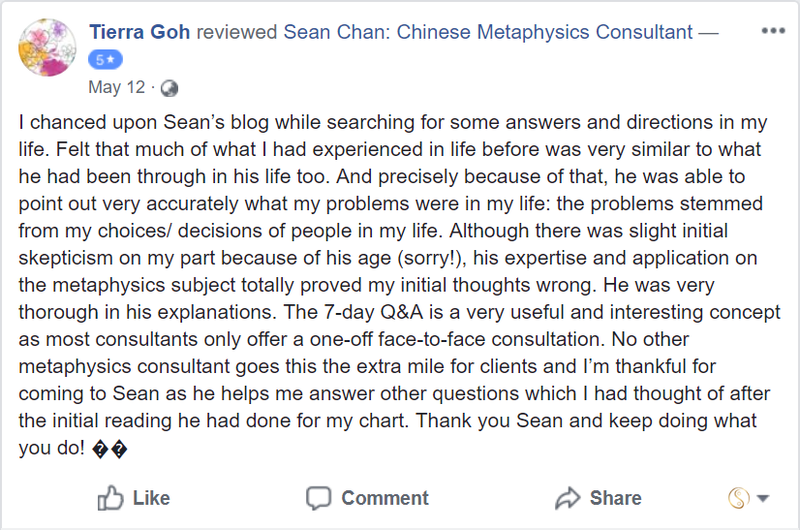 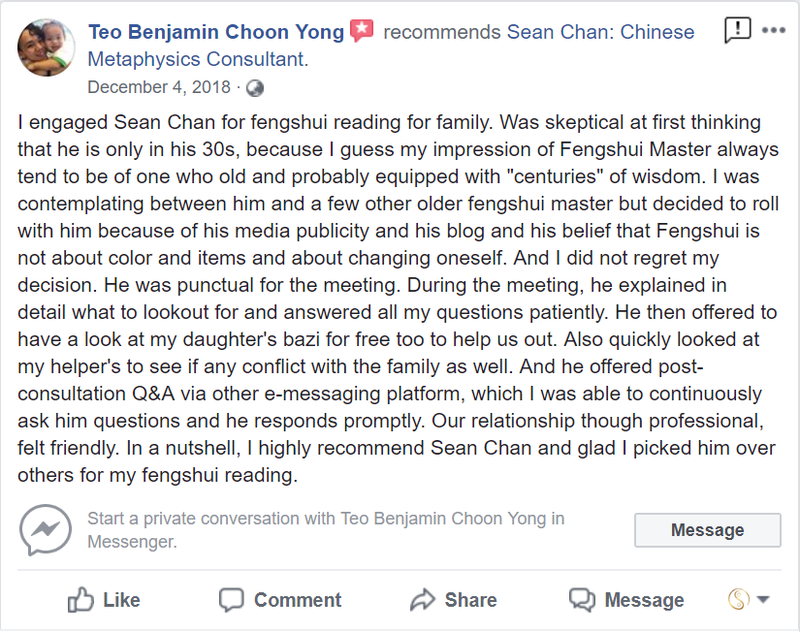 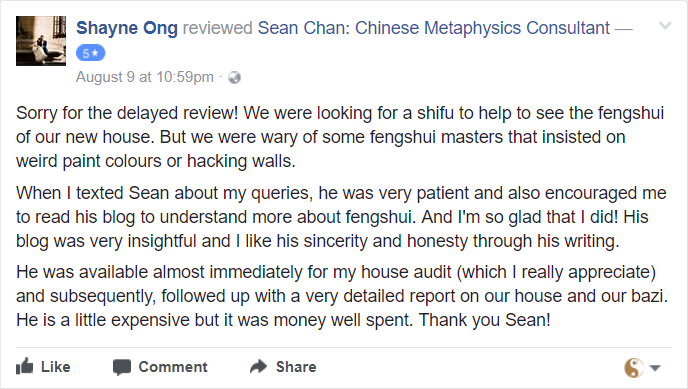 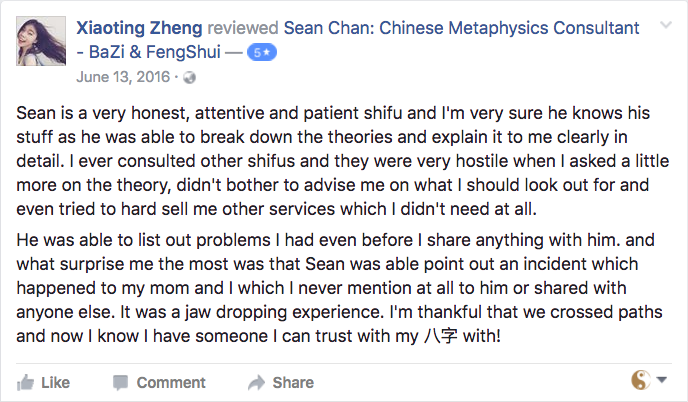 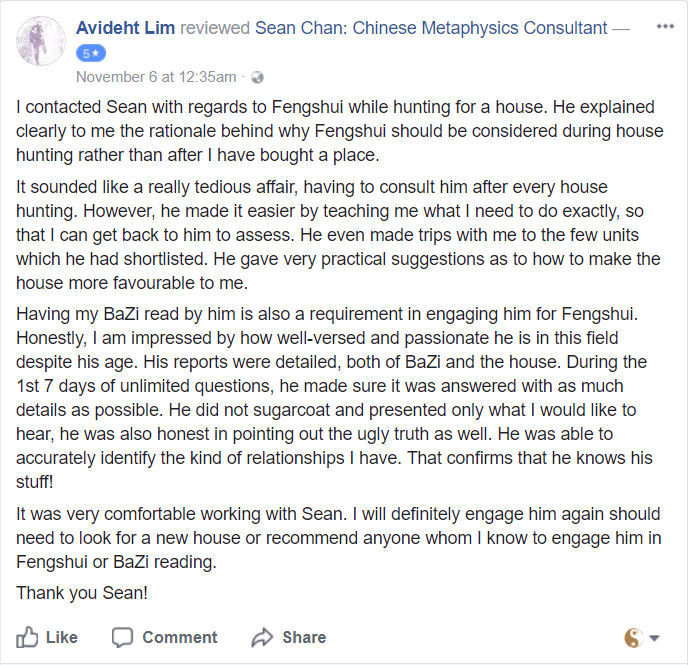 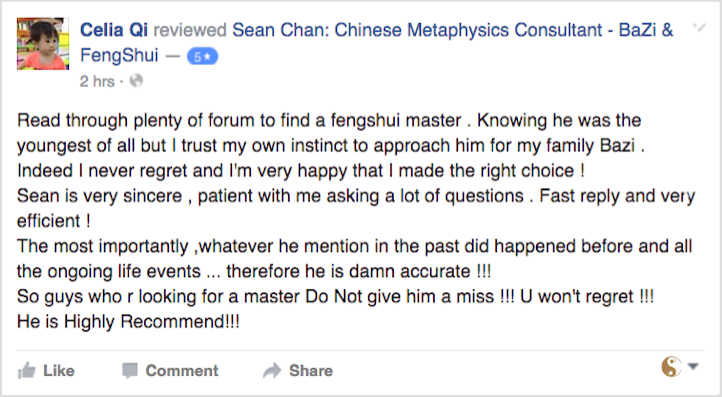 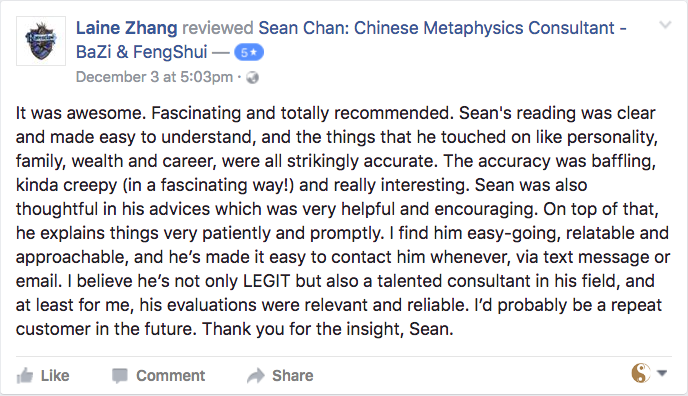 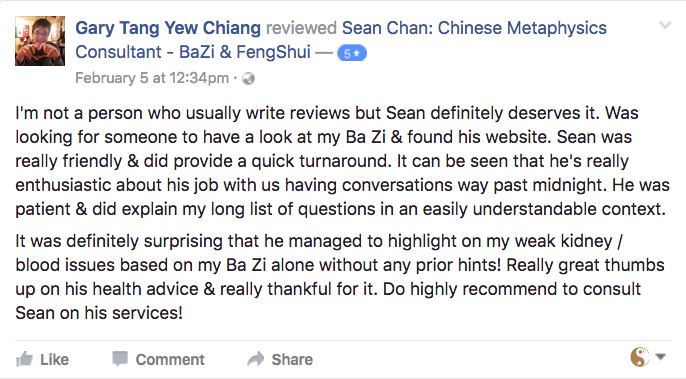 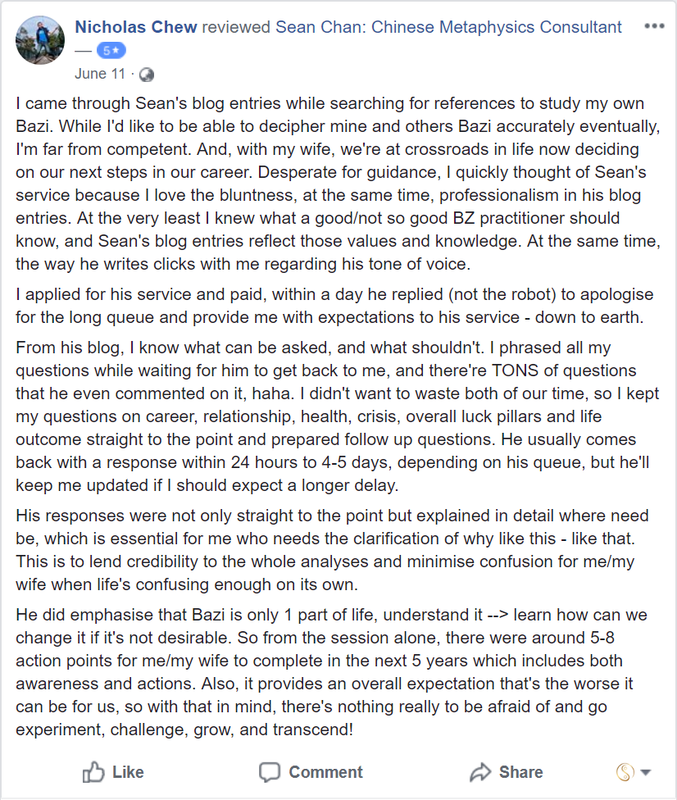 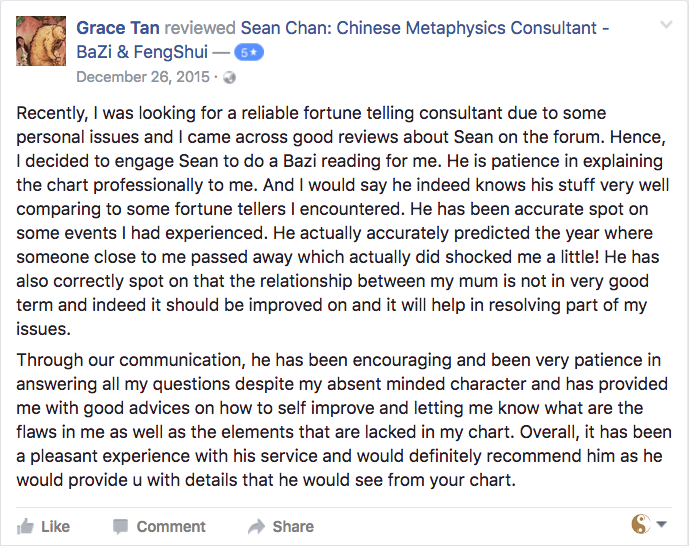 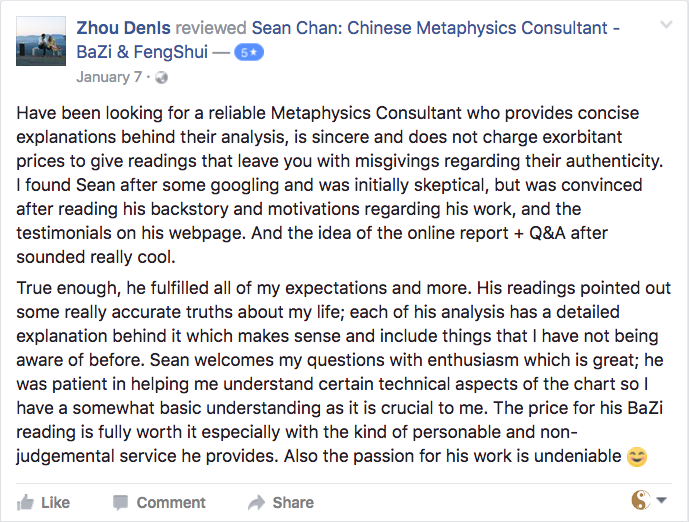 Combining both methods allows me to assess your chart more effectively and with more insights, so if you are looking for some answers or direction, the consultation can still definitely benefit you even when it’s angled from a BaZi perspective. 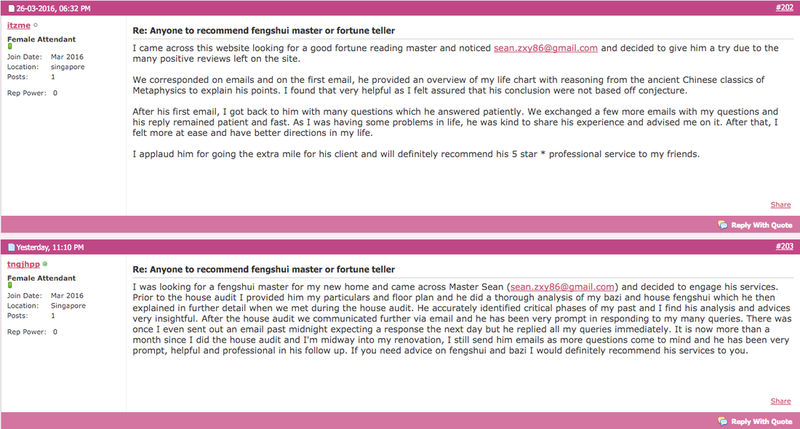 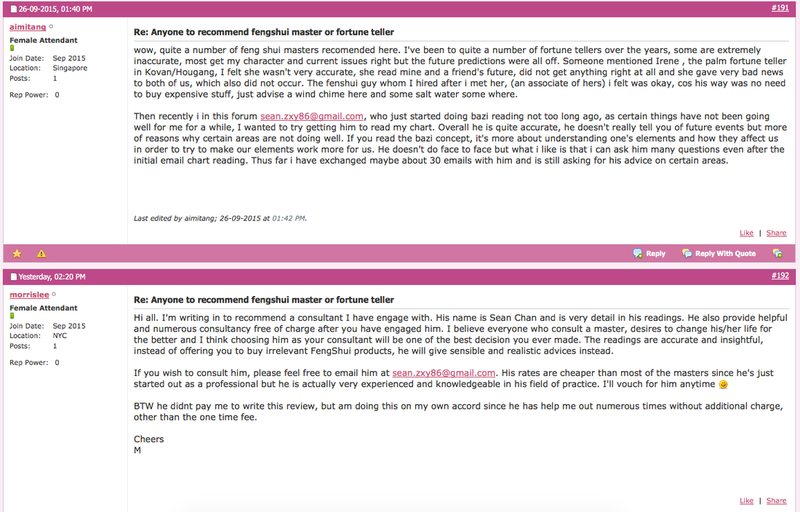 If you want me to focus more on Zi Wei Dou Shu, you can let me know when you fill up the request form. 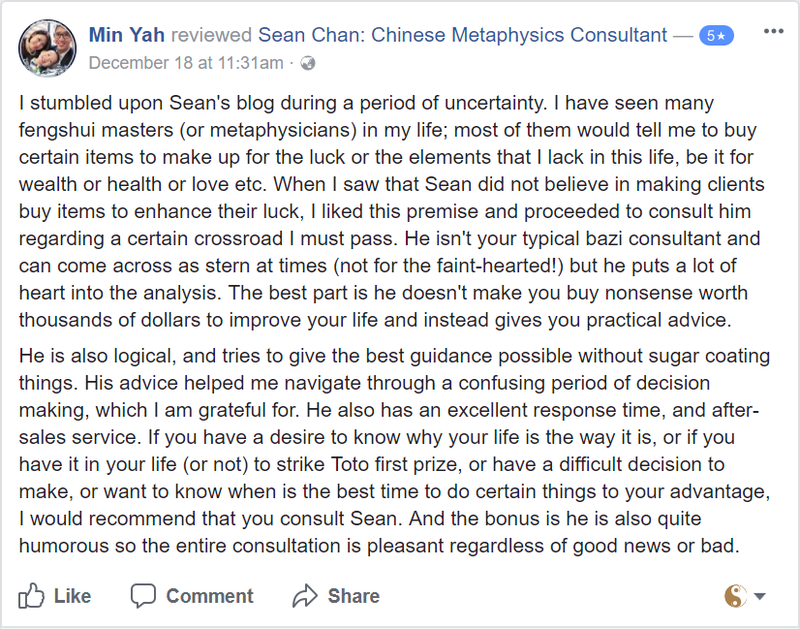 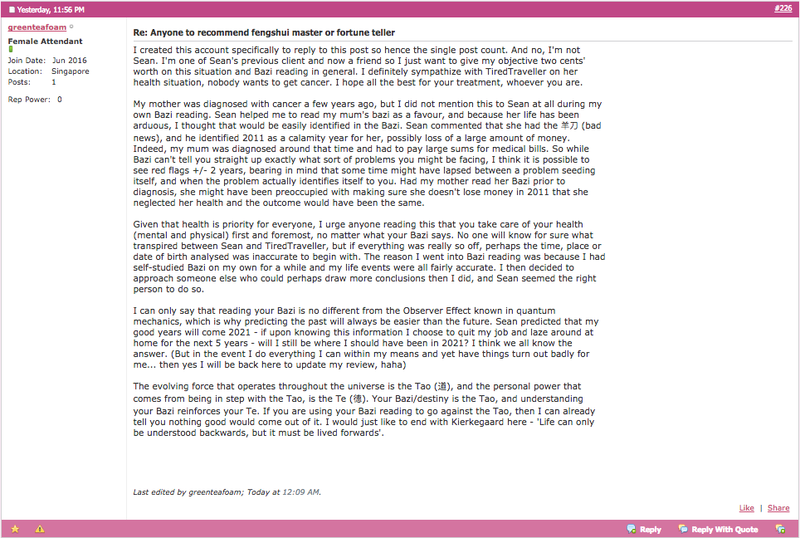 Do visit my blog for more information on the consultations! 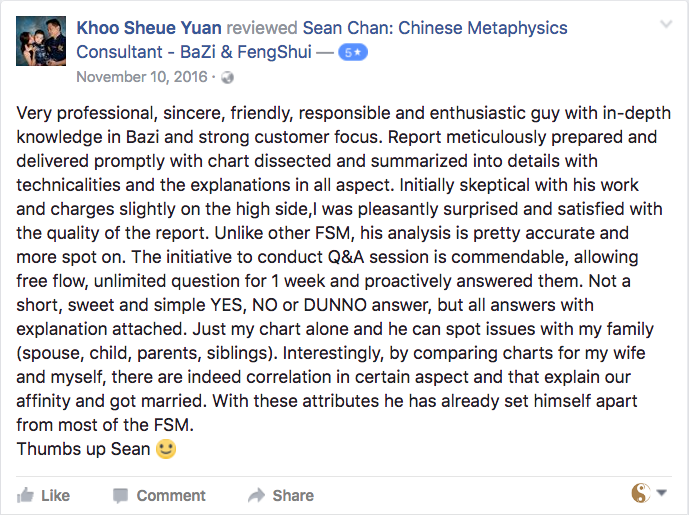 Compatibility Analysis – SGD$688 for 2 charts. 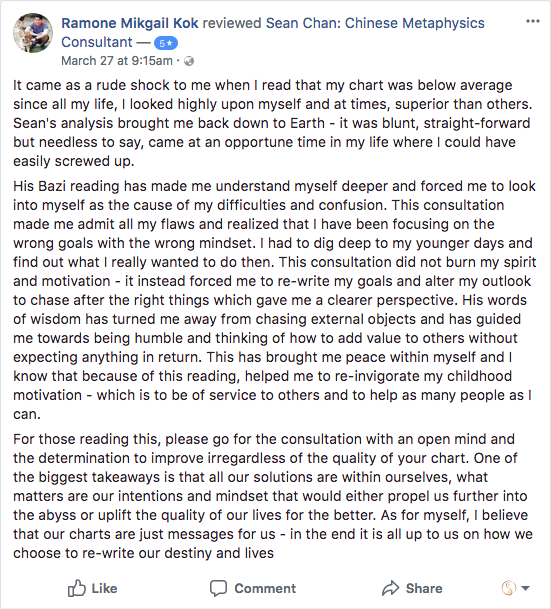 Full analysis of 2 charts which is not limited to questions on love and relationships.